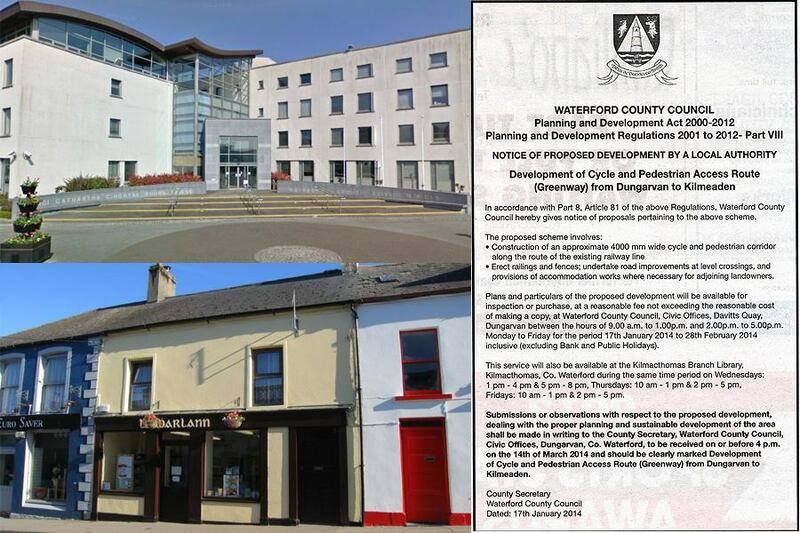 Under Part VIII planning regulations, Waterford County Council today published the very detailed plans for the development of the Dungarvan to Kilmeaden section. These plans can be viewed in the Dungarvan Civic Offices and Kilmacthomas Library. This is a significant step towards the completion of your 48 kilometre, car-free Greenway.